More details have come to hand about the new Bonnie Anderson single ‘Rodeo’, which we revealed on the site two weeks ago. 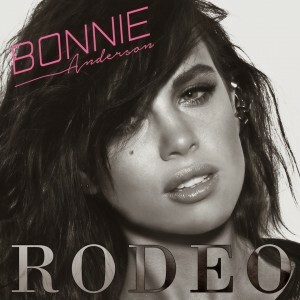 Though its release has been delayed by two weeks, ‘Rodeo’ has been described as “an upbeat pop track that oozes sass” and now has a cover image (above). It was co-written and produced by Billy Mann, who’s previously worked with P!nk and John Legend, along with Ricki-Lee on her single ‘Raining Diamonds’. ‘Rodeo’ will be released on Friday October 10.